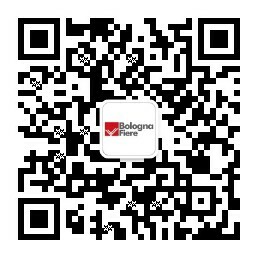 Cosmoprof Worldwide Bologna strengthens its presence in the key markets for the beauty sector. In addition to events in Las Vegas – Cosmoprof North America, Hong Kong – Cosmoprof Asia and, from September 2018 Mumbai – Cosmoprof India, the brand is sales international agent in Colombia, in Belleza y Salud, and in b2b beauty trade shows in South East Asia, to increase the commercial exchange between local companies and international buyers and distributors. The 2018 edition of Belleza y Salud, from 3 to 7 October, brought together more than 64,000 distributors and operators from the main South American countries, who met in Colombia to evaluate new opportunities for their business. Thanks to the political stability and the positive economic situation of Colombia, over 400 exhibiting companies have chosen the show as a showcase for their products and services, covering a total area of 17,566 square meters. Thanks to the sales activities of the Cosmoprof network, 90 international companies from Europe and Asia have enriched the exhibition offer, representing 12 countries: Andorra, Brazil, Bulgaria, China, Colombia, France, Germany, Italy, Peru, South Korea, Spain, United States, Taiwan and Turkey. 5 international pavilions were on the show floor: Brazil with 33 companies, China with 11 exhibitors, Germany with 9 companies, Peru with 5 exhibitors and Spain with 16 small and medium-sized local businesses. For 2019, the activities of the Cosmoprof platform in South America will be strengthened thanks to the collaboration recently signed in Brazil with Beauty Fair – Feira Internacional de Beleza Profissional, the event in San Paolo for professionals and distributors of the local cosmetic industry. The collaboration between the two events will bring to Cosmoprof Worldwide Bologna 2019 a pavilion with companies representing Brazil, thus helping buyers, distributors and retailers to do business in the South American market. In September, for the 2019 edition of Beauty Fair, the collaboration with BolognaFiere Cosmoprof will facilitate the presence in the event of international companies. Southeast Asia has confirmed itself as an important stage for the companies of the Cosmoprof network, as demonstrated by the results of the participation in the events organized in collaboration with UBM Plc in Thailand, the Philippines, Vietnam and Malaysia. From 3 to 5 May 2018 ASEANbeauty 2018, in Bangkok, Thailand, saw the participation of 235 exhibitors from 11 countries (35% international, 65% domestic), and 9,743 professionals from 60 countries. The event brought to Bangkok international buyers interested in business meetings with the most important brands in the region. There were 3,268 B2B meetings organized at the event, and over 12,000 professionals took part in ASEANbeauty. From 30 May to 1 June, Philbeauty took place in Manila, Philippines. The event involved over 200 companies from 24 countries and specialized in finished products, specifically in hair, make-up and skincare, but also in packaging, raw materials and ingredients, machinery and accessories. 8 country pavilions represented China, Korea, India, Malaysia, Singapore, United Arab Emirates, Taiwan, Thailand. Seminars, live product demonstrations and a contest dedicated to the world of hairstylists and local make-up artists were at the disposal of the more than 5,000 professionals attending this edition from 19 countries in the world: from contractors to R & D managers, from ambulatory specialists to salon owners. Vietbeauty 2018, in Ho Chi Minh City, Vietnam, from 19 to 21 July, saw the participation of 8,182 operators from 33 countries and regions, +32% compared to 2017, and 176 companies with 250 brands, +35% compared to the previous edition. The sales activity of Cosmoprof led to a significant increase in international presences, with 80% of exhibiting companies coming from abroad. The presence of international buyers also increased. At Beauty Export, from 5 to 8 October in Kuala Lumpur, Malaysia, 14,218 professionals visited the event. 45% of the 322 exhibiting companies came from abroad: growing number when compared to 2017, demonstrating the important role played by the Cosmoprof network in promoting the event outside the national borders. 10 countries were represented: China, Japan, Korea, Singapore, Taiwan, Thailand and, for the first time, Brazil, Hong Kong, India and Hungary.